From November 7 to November 9, 2016, registration for the issuance of Professional Identification Card (ID) and Certificate of Registration will be done on-line. Please go to http://www.prc.gov.ph and follow instructions for initial registration. Those who will register are required to bring the following: duly accomplished Oath Form or Panunumpa ng Propesyonal, current Community Tax Certificate (cedula), 1 piece passport size picture (colored with white background and complete name tag), 2 sets of documentary stamps and 1 short brown envelope with name and profession. Successful examinees should personally register and sign in the Roster of Registered Professionals. This entry was posted in board exam results, ECE board exam results, PRC Results. MANILA, Philippines – The Commission on Elections (Comelec) officially announced yesterday, May 8 the election results website for the 2016 general polls on Monday, May 9. “Precinct results and canvassing results for the 2016 National, Local and ARMM Regional Elections will be available after closing time on election day,” the website stated. 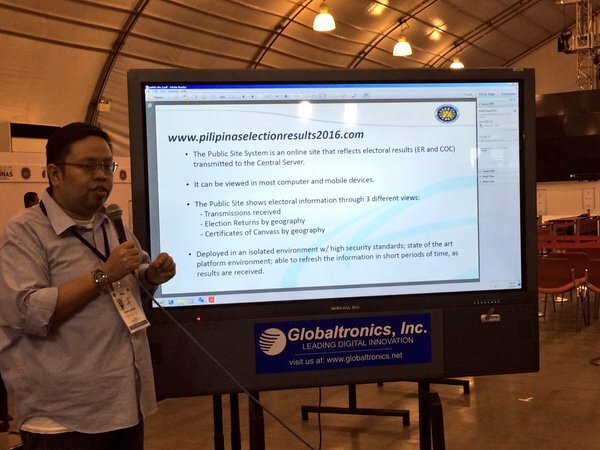 Comelec spokesperson Director James Jimenez said that the website will also show the certificates of canvass transmitted to the poll central server coming from more than 90,000 polling precincts nationwide. Check out the latest election results on precinct level l here: www.pilipinaselectionresults2016.com. “It can be viewed in most computer and mobile phones,” Comelec said. “The ERs contain all the results from the president down to the last candidate. Which means, we can already total them even if we would not announce it,” Comelec Spokesman James Jimenez said in a press briefing. Asked about the possible hacking, Jimenez added that the central server was deployed in an isolated environment with high security standards and state of the art platform and able to refresh the information in short period of time, as results are received. Jimenez also clarified that the website will not be providing an overall total number of votes as well as ranking among candidates to safeguard against trending and intrigues. “There will be totals for the votes received for that particular precinct only but not for the whole thing,” Jimenez said. The public will be informed also the actual percentage of certificates of canvass counted by the Comelec through the said website. It is estimated that as early as 8PM today, local government official winners can be announced. This entry was posted in 2016, 2016 May Elections, 2016 Presidential Elections, Duterte, Grace Poe, Jejomar Binay, Miriam Defensor-Santiago, News and Current Affairs, NEWS AND CURRENT EVENTS, Rodrigo Duterte. Evan Fournier, a member of the French national basketball team is in the country. 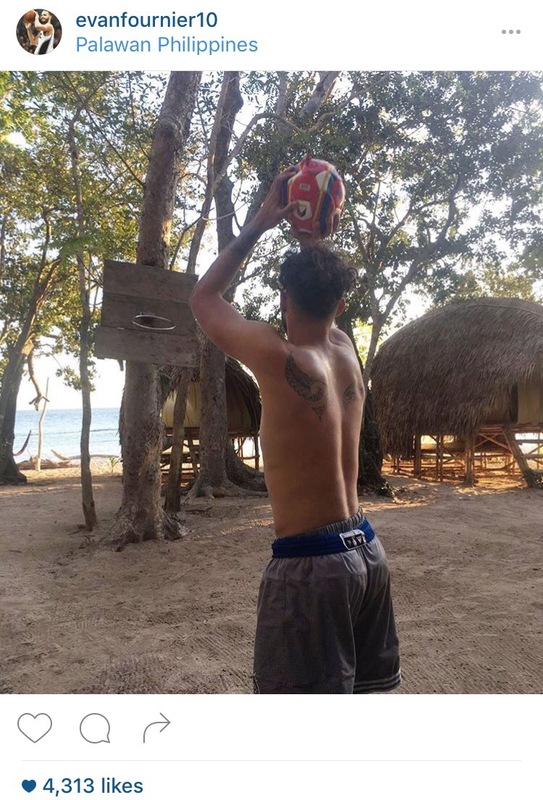 He posted photos of him in his instagram shooting hoops in Coron Palawan. Fournier, Orlando Magic guard, is expected to represent France in the FIBA Olympic Qualifiers to be held in Mall of Asia Arena this july. Gilas Pilipinas will battle Fance in the 1st day of the tournament. 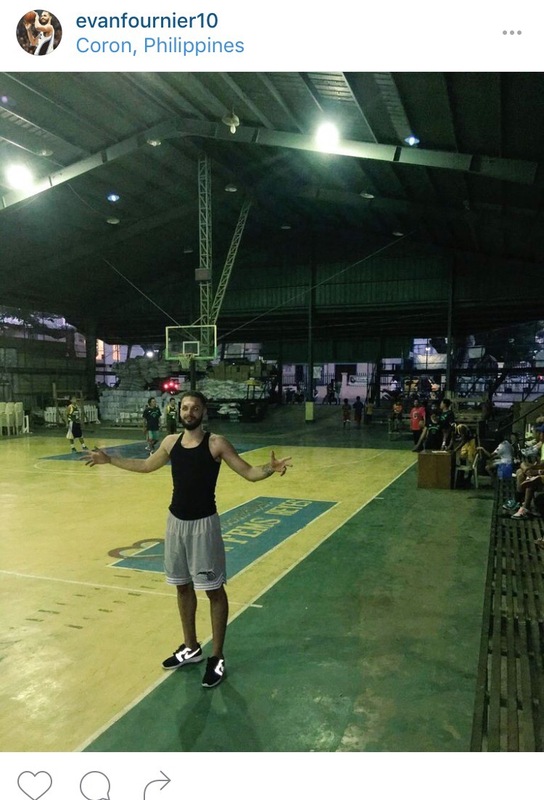 This entry was posted in Basketball, Evan Fournier, FIBA, Fiba OQT, gilas, Mall of Asia Arena, Manila, NBA, Orlando Magic, philippines, Pilipinas, RIO olympics, SPORTS. The Golden State Warriors defeated the Houston Rockets for 3-1 lead in the first round of the Western Conference playoffs. The Warriors led by Klay Thompson handed the Rockets its 3rd loss with a 121-94 final score. Klay had 23 points and 5 assists. Steph Curry, who only had 6 points in the game, suffered a sprained right knee when he slipped right before the end of the first half.Curry was very frustrated, he tried to run in the locker room and tried to start the second half but it just cannot happen. Game tied at 56 at halftime, the Warriors without the league MVP, outscored the Rockets 41-20 in the 3rd quarter. Dwight Howard led the Rockets with 19 points and 15 rebounds. This entry was posted in Basketball, Golden State Warriors, Houston Rockets, NBA, NBA PLAYOFFS, SPORTS, Steph Curry, Stephen Curry, Uncategorized, Warriors.